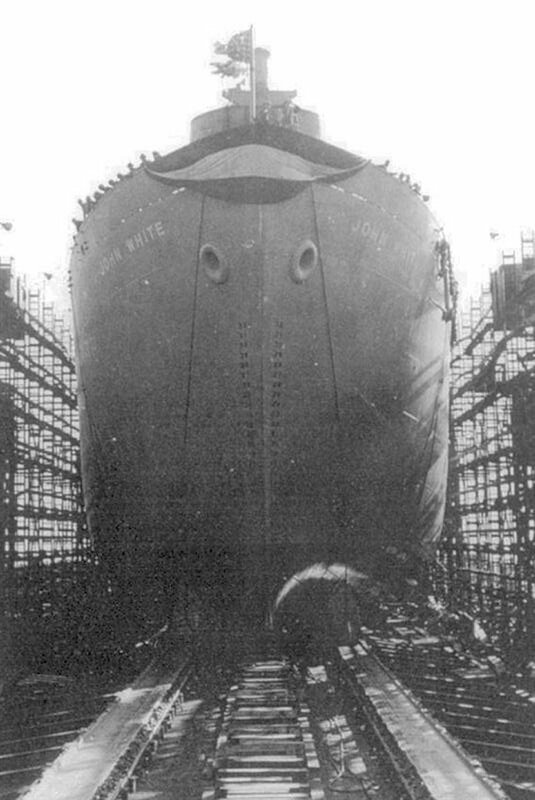 Laid down, 17 November 1943, as SS John White, a Maritime Commission type (EC2-S-C1) hull, under Maritime Commission contract (MCE hull 1218) at St. Johns River Shipbuilding Co., Jacksonville, FL. 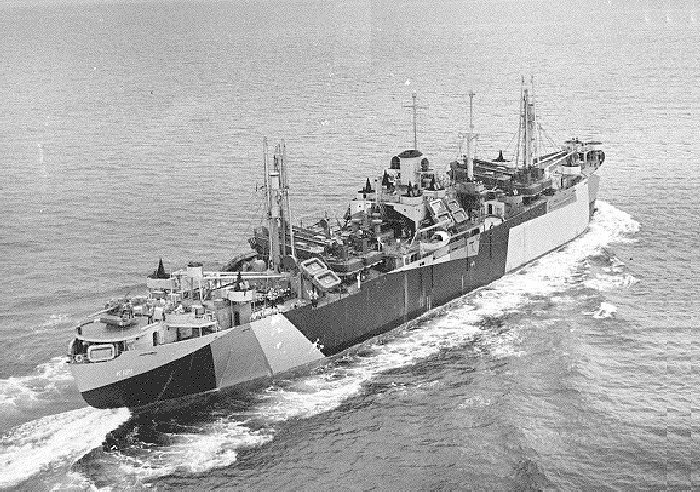 Decommissioned, 22 January, 1944, at Miami, FL.and converted for Naval Service at Dade Drydock Co., Miami, FL. 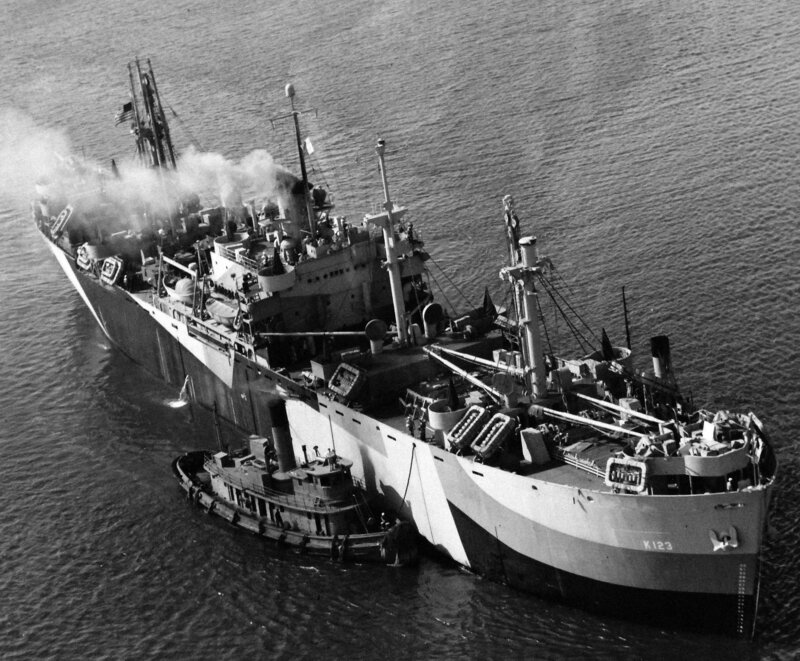 Final Disposition, sold for scrapping, 8 May 1962, to Union Minerals and Alloys Corp., removed, 22 May 1962, dismantled by Learner Co., at Oakland, CA. 137k USS Menkar (AK-123) under way, date and location unknown. Note dazzle camouflage scheme. US Navy photo from DANFS Joe Radigan, MACM USN Ret.